Two Wives? Way More Than Twice the Complications! 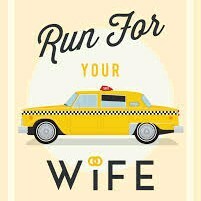 A taxi driver gets away with having two wives in different areas of London because of his irregular working schedule. This side-splitting musical comedy takes you through complication after complication as he struggles to keep his life from exploding. TOUR INCLUSIONS: Professional tour director, transportation, dinner, and show.